Overflowing Trash: Residents have complained of trash overflowing from metal trash cans on Main Street after regular weekends, three-day holiday weekends, or weekends that have special public events. Recycling: The crash of the recycling market has rocked recycling collection across many communities in the United States. In short, most of the recycling isn’t getting recycled because China, who buys most of the world’s recycling, has tightened its restrictions on what it will accept. Most recycling sent to China is dirty, as in, coated in food, contaminated with non-recyclable objects (like plastic bottle caps not screwed onto a bottle - who knew?!) or is wet paper (only dry, non-shredded paper is accepted - nothing smaller than 6” x 6” actually, according to Beacon’s recycling processing center). The Beacon City Council, which consists of four representatives (called Council People) from each area of the City, as well as a Member-At-Large, the Mayor, the City Administrator, and the City’s Attorney, all consider many details about how the City of Beacon functions. They even think about the design of the trash cans. At one point years ago, two holes were considered to help with trash: a small one for recycling (presumably cups and other small objects), and trash. But not too large, so as to guard against residents of nearby apartments putting their household trash into the public containers, as recalled by Mayor Casale during a City Council meeting. 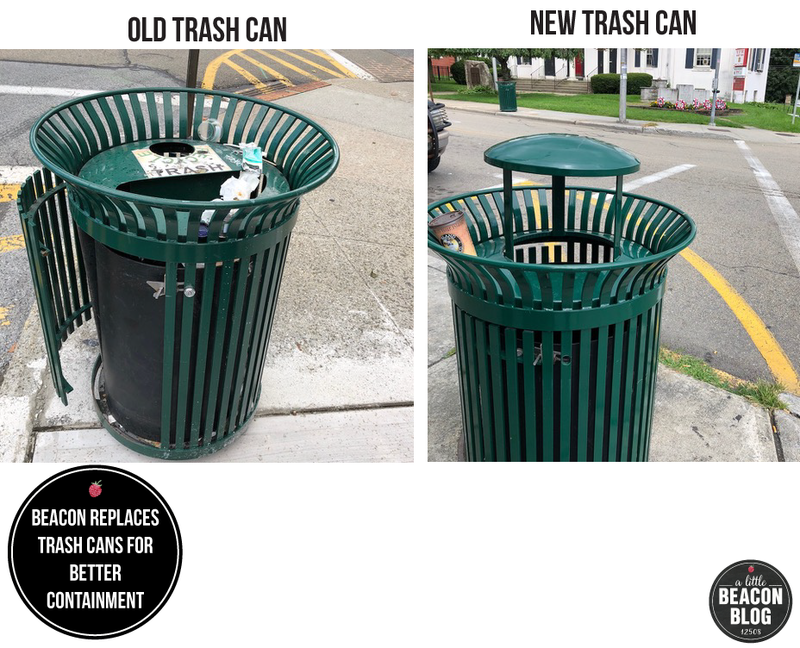 Beacon’s City Administrator confirmed with A Little Beacon Blog in August 2018 that the City was moving forward with the replacement of the cans. By January 2019, the new trash cans lined Main Street. Tonight, there are three Public Hearings scheduled for the 12/17/2018 City Council Meeting, in which you are invited to contribute your opinion and feedback about drafts of laws put before the City Council. This is your chance to speak in public to the City Council, so that they may consider your thoughts before signing proposed legislation into law. Usually what happens at the meetings is people attend - sometimes it’s just one - then they have a chance to voice their opinions at a podium, and the City Council considers what they said. The City Council may then take the draft of the law back into a “Workshop” session where they meet again to talk about it in detail, and/or the City Attorney may take notes from the City Council and make changes to the draft law, and present it again. If no one shows up to a Public Hearing, the City Council has what it needs in the draft law to vote on the proposed new law or change to an existing law, and possibly sign it into new law that night if they get majority votes from themselves. Background: Proposed new business offerings at a property at 511 Fishkill Avenue (which is in Beacon but just outside of downtown Beacon, past AutoZone), include a brewery, an arcade, and an event space. The property owners are seeking the allowance of an arcade, without being restricted to offering vintage games/machines that were built prior to 1980. Deep Dive: We took a Deep Dive into this one, to see what it was all about, and you can read about it here. Many other items are on the agenda for the City Council to discuss among themselves, but in public. A Little Beacon Blog has published the entire agenda for tonight here to help you keep up. We do this for all of the City Council Meetings (started doing it about a year ago). 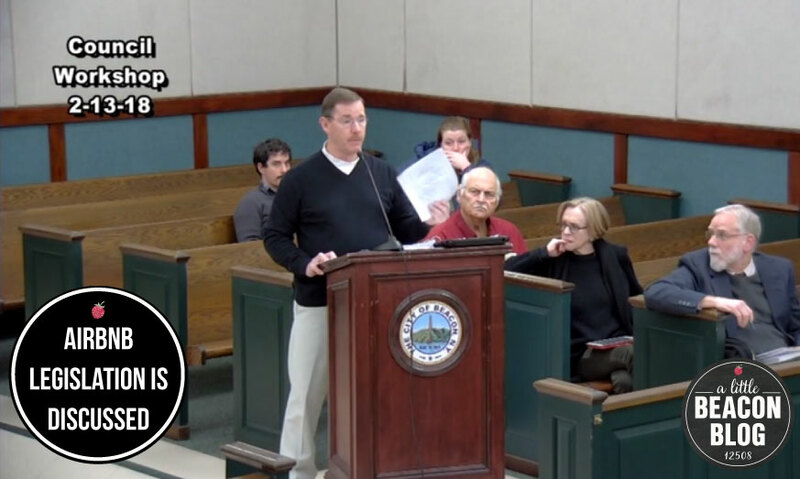 When a video of a City Council Meeting has been published, we re-publish it with its dedicated meeting web page as well. The large property at 511 Fishkill Avenue (aka Route 52), which is between AutoZone and the Healey car dealership, has been acquired by Diamond Properties, a commercial real estate and property management business located in Mount Kisco, New York. This is the old Mechtronics building on 9 acres of property; technically it’s in Beacon, but it’s outside of downtown Beacon. The property is a 147,500-square foot, two-story flex/industrial warehouse and office building and includes loading docks, warehouse, office, and on-site parking, according to the website of Diamond Properties. The vision is to transform part of the space into a warehouse, brewery, accessory office, arcade and event space, to accommodate Industrial Arts Brewing Company, who would be a tenant in the building, according to the application submitted by the applicant, DP 108, LLC. Industrial Arts Brewing Company, who is based in Garnerville, NY (over to the southwest of us, in Rockland County), is looking to expand in Beacon by way of this location. The plan would be a new brewery production space with warehouse capacity, and an event space on the second floor of the building, which could include arcade use. The architect for the project is Aryeh Siegel, who is the architect behind several projects under construction in Beacon, as well as completed projects. While the intent of use for an arcade is there, Beacon has an older, or vintage if you will, zoning requirement on the books that does not allow for arcades in Beacon, unless they are offering vintage machines. The requirement also has provisions for noise levels, and that windows are to be kept closed, and doors “open only during ingress and egress,” as well as a calling for no vibrations to occur off the premises. Children under the age of 18 years old would also not be allowed to be in before 3 pm (school release time), and that age range cannot operate the machinery after 10 pm. The Public Hearing was triggered after a representative from the project came before the Planning Board during a Planning Board meeting on 12/11/2018 to review the application to amend an existing Site Plan Approval and needed zoning law changed to allow amusement centers that include more current games, not just vintage. During the 12/11/2018 Planning Board meeting, it was explained this way: “Right now, amusement centers are prohibited unless they are vintage amusement centers. In which case they are allowed by special permit. We are taking that distinction away and just saying ‘Indoor Commercial Recreation is a permissible use.’” The Planning Board discussed amending the old zoning requirement, and then sent their unanimous recommendation of “Yes, Amend” to the City Council for a vote. In order to vote, the City Council must hold a Public Hearing to hear opinions from the public, which is scheduled for today, Monday December 17, 2018. An email from a Beacon business owner, Paulette Myers-Rich, who owns No. 3 Reading Room & Photo Book Works on Main Street in Beacon, is on file to be present during the Public Hearing, in which Paulette asks that the special permit remain in the legislation in order to give more selection to which business opens where. According to the proposed draft change of the law, the only proposed change coming from the City Council’s attorney seems to be to the vintage aspect of the zoning requirement. Screenshot of the proposed Draft Change of the arcade law, which is what is being discussed at a City Council Public Hearing Monday, December 17, 2018. In last week’s article on Beacon’s taxes, we mentioned that the Public Hearing for the 2019 Budget would be Monday, December 3, 2018. That information was based on the Mayor’s letter in the Budget Presentation, submitted in October. However, the Public Hearing for the 2019 Budget was announced and scheduled for Monday, November 19, 2018. The vote is scheduled for Monday, December 3, 2018. Infrastructure upgrades have been going on in Beacon on several neighborhood streets since the summer. There was a sewer collapse on Main Street at Tioronda, which closed the street to cars for several days, and negatively impacted neighboring businesses, like Raven Rose who experienced sewage backup into the shop. Also significant is the retiring of Beacon’s Building Inspector, Timothy Dexter. He served the city for 36 years in several roles, including Firefighter, Building Inspector, Fire Lieutenant, Acting City Administrator, “and mentor to many,” Anthony stated in the budget presentation letter. The position of the Building Inspector will remain, but move to the Building Department’s budget, and away from the Fire Department’s budget, where it was previously. Building Department staff will remain the same, and the number of firefighters (13) and fire chief (1) will remain the same. There are other highlights of what budget line-items are increasing or decreasing, which you can see here in the budget itself. If you need to see things visually, as a line-item, this could look like +$15/ton as income to Beacon, and now looks like -$61 as an expense. The collapse of the recycling market was predicted for years by business leaders in the recycling industry, and was triggered by the Chinese decision in January 2018 to buy almost none of the recycled paper pulp coming from the United States. (A reminder: When putting goods out for city recycling, all recyclable paper and plastic must be dry and clean. Rinsed and not soggy. Otherwise, if the plastic is coated in food or dirty, or the paper soggy, it does not get recycled.) A Little Beacon Blog hasn’t gotten an official quote on where non-purchased recycling goes if it’s rejected and not purchased by China. CORRECTION: This section originally stated December 3, 2018 as the Public Hearing. According to the Mayor’s letter in the Budget Presentation, that was the date set. However, the Public Hearing for the 2019 Budget was announced and scheduled for Monday, November 19, 2018. Department heads have been meeting in workshops throughout the fall. Workshops are open to the public to watch, but not participate in. 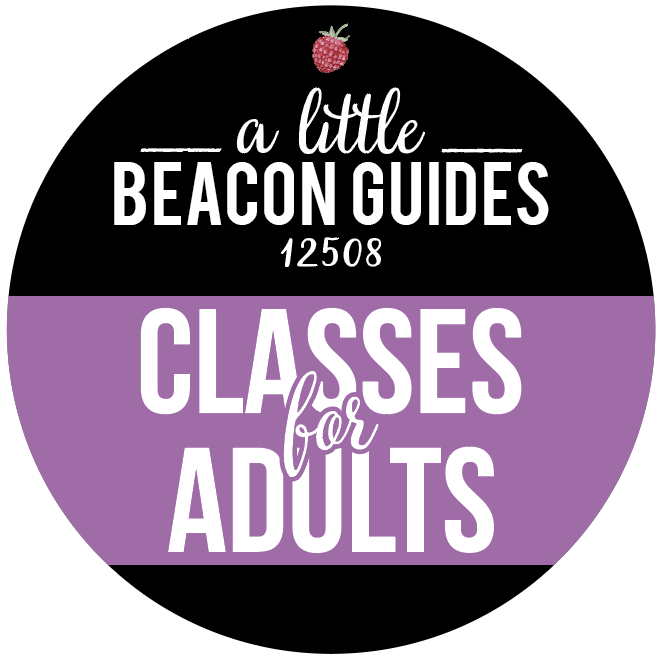 A Little Beacon Blog republishes workshops here to help increase accessibility to these videos and agendas of the meetings. The opportunity for the public to come out and contribute their opinion on the 2019 Budget was Monday, November 19, 2018 at 7 pm at City Hall. This is the white building near the train station that also houses the police station and courthouse. An official meeting, where City Council members can vote things into law that impacts Beacon residents - for better or worse. A Workshop, where they talk about recent issues typically raised by citizens at those meetings or by phone calls or emails, and hash out what might become a law. The City Council meetings are where all of the things get decided. It's how rules end up in the code books that you wade through when trying to figure out if you need a permit to build a new porch, or if a large new building on Main Street needs to have a sign with its permit posted in public (just like houses do when under construction). Here at A Little Beacon Blog, we have our handy-dandy Easy Access Government Meeting section where you can do an easy search for anything, and find Agendas and Videos of the meetings all on the same page. For instance, if you saw that "Kearney Realty" was on the agenda for something, and you can't remember who they are or what property they own, you can do a Search on our website, and you'll get all the times they were mentioned in City Council, Planning or Zoning Board meetings. You can also run this search at the City of Beacon's website. We do get all of our info from the City of Beacon's website, so it's wonderful that they put it up there. We're going to start to produce very short recaps of the City Council Meetings to help you stay current. Sometimes, the issues in these meetings may bubble to a larger article here on A Little Beacon Blog. Like when we took a deep dive into the Airbnb legislation exploration. Each of these meetings is linked to in full on their own pages. Just like on the City website, each line-item has been linked to any corresponding documents that have been attached to it (thanks Marilyn for all of this work you do each week on this!). Here are the CliffsNotes for the most recent meeting, on 8/20/2018. Click here for the full City Council Meeting 8/20/2018 agenda page. This was a camp listed in our Summer Camp Guide that provided an opportunity for local kids to learn about law enforcement for one week during the summer. Local eateries donated lunch, and students did everything from obstacle courses to going on field-trips to different offices. Before the meeting got started, a different student spoke before the council to describe what they did each day. This is when anyone from the public can speak for three minutes on anything they want. We do take notes about who spoke about what, but we'll leave it to you to listen to the video. Sometimes comments made here make it into articles on A Little Beacon Blog, or into law for the City of Beacon. Public Hearings are your chance to voice your concern right before the City Council is going to write something into law. Sounds boring, right? Driveways - just another thing to get permission to fix! Turns out, Beaconites did need to adhere to some code before creating their driveways, but they didn't need to get a permit aka official permission. Plus, the regulations that residents did need to adhere to were located in three different places. The Council wanted to change that and make it easier to find and read. According to Mayor Casale, "The only thing that was ever on the books in the City Of Beacon was that if you wanted to put a driveway in, you had to be a certain amount of feet from the property line. Over the last year or so, [new] driveways were put in [by residents] and it became controversial. So we decided, like other communities, to have a permit to put a driveway in that would be addressed in our code, and reflect the zoning law." The Council wanted to know when a driveway could cut into their own streets, and that it adhered to some rules. They hammered out what the condensed and simplified law would look like in a Workshop Meeting back on June 11, 2018, and this August meeting was the Public Hearing on it to hear from the public to see if the public brought any ideas to the table. No one came to this Public Hearing, so it's moving on into the next stage of getting voted on to be turned into law. Next come the reports from each City Council member, including the Mayor and the City Administrator. This is where you learn things like what events they attended, what issues they were alerted about, or if we're in a drought. We'll let you listen to the video for these. Mark your calendar, because if you want to hop into the discussion about a major issue being made into law or amended, this is your big chance. If you want it or don't want it, come on down. Sometimes, only the side that doesn't want it comes down, or vice versa. So if you support an issue or don't, come down to the Municipal Building (near the train, overlooking the Hudson River) to say why. This means that rules governing the area down near the train station - which is hot for development right now - have been worded in such a way that they are keeping a type of company that the City wants to be there, from being there. The example company that triggered this is Docuware, a document management company. Originally, Docuware wanted to relocate to the first building on Main Street that currently houses the Beacon Creamery. As an aside, according to Ron at the Beacon Creamery, his landlord was going to move him up the street for a year during construction, and then move him back into a space that would have been made larger for his ice cream shop. Ron had been looking forward to the change. Now Docuware is looking at property in the Linkage District near the train station, specifically where the auto shop is, and Spire Studios, the studio workspaces of several artists. You may have stepped inside this building during this year's and previous Beacon Open Studios. The original language was written to keep out big box-type stores, but it has had the effect of keeping out other types of business that the City does want. According to Anthony Ruggiero, the City Administrator: "When we looked at the regulations, it was disjointed as to how it was adopted. Intent was to have mixed-use development. The way it was written, it was required to have two buildings. Total of buildings would be 25,000 square feet. When John [Clarke, the City's Planning Consultant] looked at it, the Comprehensive Plan was trying to prevent Big Box, but not mixed-use. The proposal coming to the Council would be two floors commercial, two floors residential." Last Minute Addition: A special Public Hearing to discuss proposed new apartments for 21 South Avenue. This is the former Martin Luther King Center and is now owned by St. Andrew and St. Luke Episcopal Church. 4. A resolution authorizing the Mayor or City Administrator to sign an agreement authorizing and supporting the joint municipal land use review for the future redevelopment of the Beacon Correctional Facility. This just means they can review proposals for this land. According to the City Administrator, eight ideas have come in, and one RFP that didn't work. 5. A resolution awarding the contract for a Concentration Tanks Drive replacement to Rebuild-It Services Group, LLC. 6. A resolution awarding the contract for the South Ave Sidewalks Project to Ben Ciccone, Inc. The sidewalks along South Avenue by South Avenue Elementary are getting paved! 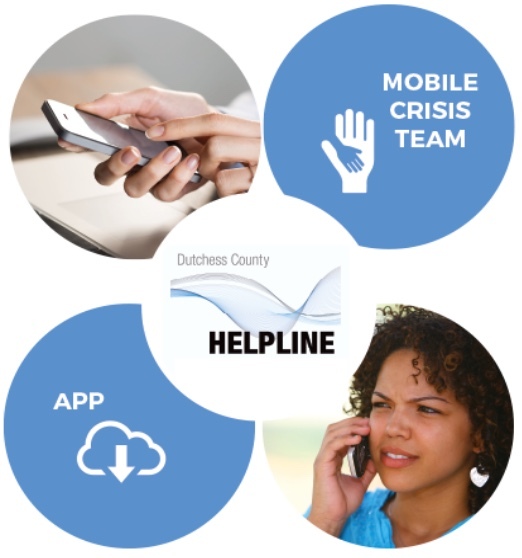 Some funding came from Dutchess County. We reached out to City Administrator Anthony Ruggiero by email to hear more. He told us, "The intention is to go from Main Street to the School. It was viewed as safety for the kids. There is no cost to homeowners, however, they are responsible for maintenance and upkeep." UPDATED: This has been updated since the original publishing of this article on this website and in our newsletter. 8. A resolution awarding the contract for the Kristy Drive Storm Drainage Slip Lining to Skanex Pipe Services, Inc. WHEREAS, the present members of the Kearney Realty Group are Ken and Jean Kearney; there have not been any changes to Kearney Realty Group since the closing and there will be no changes to the members until such time the closing of construction and a certificate of occupancy is issued for this building,"
The metal trash cans on Main Street have been an issue with the public, in that they overflow. This was discussed months ago when Royal Carting, the city's trash collector, attended the meeting to present their estimate for trash and recycling pickup. New designs of trash cans were discussed. A most recent decision was that the tops of the trash cans would be replaced, so that there will be a larger hole for trash only, and not recycling. Recycling is becoming problematic and is now costing the city money. It used to be that the City of Beacon actually received money for their recycling. But now the city is paying money to have the recycling done. According to James Constantino, the attorney representing Royal Carting: "The cost of recycling materials primarily from China has dropped dramatically," he stated at a City Council meeting on May 29, 2018. Plus, "contaminated" recycling, which is when trash (like food or plastic bags) gets into recycling, costs more to get rid of because it needs to be sorted. According to Mayor Casale also at that meeting: "The whole recycling market right now is topsy-turvy... Most of the county is not considering doing recycling anymore." A Little Beacon Blog covered this in greater detail when Beacon went to weekly recycling pickup in 2016. Two new police officers were hired, including one woman. One new fireman was hired full-time after being a volunteer for several years. New apartment and office buildings at 248 Tioronda had representatives back at the podium presenting their vision. Details can be found in this article. New free bus service! The Dutchess County bus that goes west down Main Street, circles around the train station, then heads all the way to the mountain may be free starting Wednesday, August 22, 2018. It used to be called the G Line and now is called the Free Line. One of the buses is wrapped in a cheerful light blue decoration. This has BeaconArts' stamp on it, and we'll be producing an article to shed more light. Basically, this bus is free, and apparently you can hail it from any safe spot on the street. is this, but isn’t working today: (845) 486-2473. Their main page that lists the polling locations by county is currently blank. *CORRECTION: We incorrectly typed the wrong ward number in the Newsletter sent out for this article. The correct ward is 4. So there you have it. Until the next meeting! 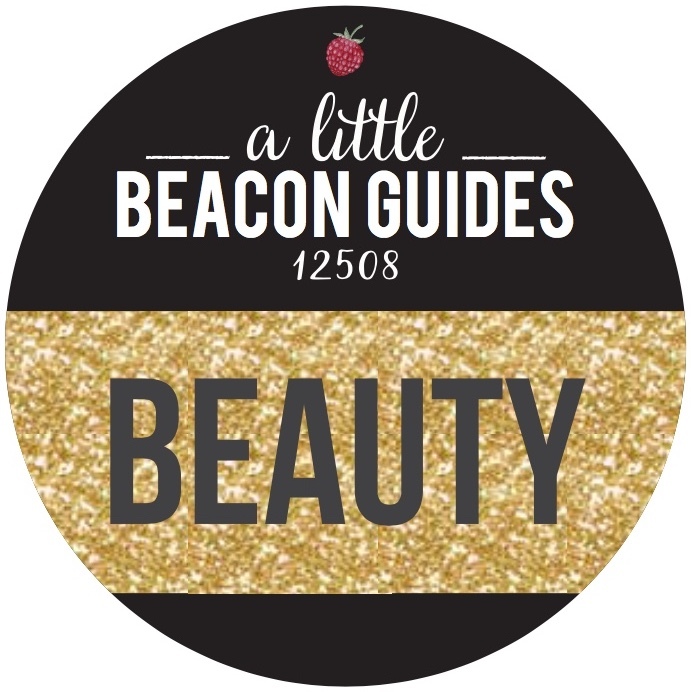 If you want to browse, because there are still a lot of other things that are discussed, visit A Little Beacon Blog's Easy Access Government Meeting section. 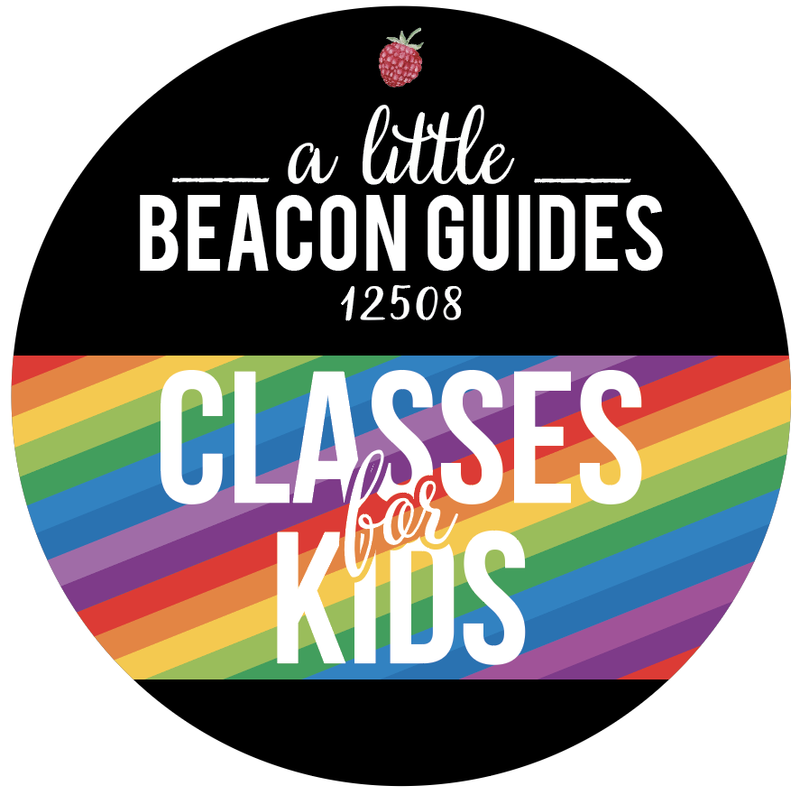 If you want to be a sponsor of A Little Beacon Blog in any way, which helps us produce this content, you can learn about options here. The Beacon City Council has made changes to the proposed legislation it is currently considering, to regulate short-term rentals by homeowners, commonly referred to as Airbnb-ing one's home. These changes are being discussed today in a City Council workshop meeting. The topic is #4 on the workshop agenda, which includes a dozen other areas for discussion. You can see all of the changes here at the city's website in red underlines and strike-throughs in the link called "Short Term Rentals LL." The city has received a lot of public feedback about short-term rentals and Airbnb spaces in Beacon. The topic was first discussed in 2014, and with the city's skyrocketing popularity, addressing lodging space has only become more urgent. Since the City Council began to revisit potential short-term rental legislation, the following major changes have appeared in the public draft of the proposed city law. It would be the first of its kind for Beacon, and will be discussed at tonight's City Council workshop. Language was removed from the overall introduction of the law that implied that short-term rentals in and of themselves cause bad behavior and disruption to neighborhoods at large. "Non-owner" specification added to the determination that short-term rentals are inconsistent with the use of a residence for residential dwelling purposes. Campers, garages, sheds, and other structures not approved for residential use - temporary or permanent - remain un-rentable in short-term residential situations. 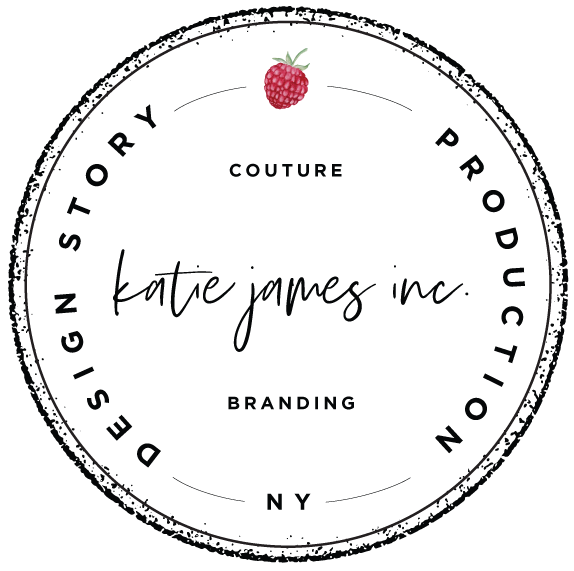 Editor's note: Just as an FYI, businesses that rent campers on their property, such as Kate's Lazy Meadow in the Catskills do exist, and require their own sets of business and insurance filings. "Owner" has been more refined to exclude "entity corporation, limited-liability company, partnership," in addition to other forms of entities like a trust, or guardian of an estate. Spaces available as rent-able have been more defined. Requirements of the owner to show where the house has been advertised have been reduced. Owner-occupancy remains the required status, which means that people would not be able to rent out a second or third home they owned on a short-term basis. The home would need to be the primary residence of the owner. Weddings, concerts and other commercial uses of a property would remain unlawful for short-term rental. The 100 days per year maximum amount of rental days has been removed. Nearly everyone who spoke at the public hearing for short-term rentals was opposed to that maximum. At that meeting, Council Member John Rembert voiced a request to "revisit the 100-day" maximum. Permits would be required once the law is signed, and those who already rent out would have "45 days to file an application to obtain a short-term rental permit and 90 days to receive such short- term rental permit before any violations are issued" by the Building Department, unless the Building Department gets delayed. The entire proposed law, called "Short Term Rentals LL," is here for you to read." The document at the link includes more changes not highlighted here. Photo Credit: Screenshot from Airbnb listings, A Little Beacon Blog. As the City of Beacon considers legislation for short-term rentals in residential houses, everyone involved is looking at their finances. During a public hearing for the legislation, homeowners who rent their homes out on a per-night, short-term basis, came out to speak in favor of continuing to allow short-term rentals in their homes. Many of the homeowners discussed financial implications they would face if Beacon legislated against short-term rentals or limited the amount of nightly rentals to 100 per year per house (the City Council has since scratched out that maximum from the draft legislation currently being discussed at City Council's Workshop meeting on 4/30/18), or imposing a New York State fire code law for Bed and Breakfasts that requires a sprinkler system or special windows installed in the home. A Beacon resident and Airbnb user, Eileen O'Hare, shed light on another economic area that is impacted by Airbnb rentals, and that is the service industry. According to Eileen's presentation at the public hearing, Airbnb recommends for homeowners to pay for house cleaning and lawn care in order to attract good and consistent bookings. She then posed this question to the City Council at that meeting: "I pay my cleaning lady $25 per hour. What do you pay yours?" Airbnb paid a total of $221,918 of the 4% Bed Tax to Dutchess County for 2017. Dutchess County began collecting the 4% Bed Tax from hosts using the Airbnb platform on March 1, 2017. The payments to the county are not broken down by municipality (i.e. city, town, or village) and the county does not have access to the host addresses from Airbnb. Airbnb remits one payment to the county by the 20th of each month for the preceding month's activity. Dutchess County is about to begin tracking other short-term rental sites as well. Currently, Dutchess County only collects from Airbnb. The discussion continues, as the City Council meets tonight to go over the latest changes to the draft legislation based on feedback from the community. On the public agenda for tonight, this topic is filed under "Short-Term Rentals" and is currently #4 out of 12 topics to discuss. Bring your coffee. Pictured here is the City Attorney Nicholas Ward-Willis (at right), the Mayor Randy Casale (at center) and the City Administrator Anthony Ruggiero (at left). Beacon has stepped up to the plate once again to consider creating legislation for short-term rentals in people's homes, also known as "home sharing," or "Airbnb-ing". Mayor Randy Casale has cited emails he has received from citizens who are opposed to short-term rentals in different capacities. Beacon considered legislating this in 2014 and created draft legislation in 2015, but never finalized it. Click here for a background of this Airbnb issue and why it is being discussed now. In January and February of 2018, Beacon discussed short-term rentals at a City Council meeting, and held a Workshop discussion on the subject in February. In April, members of the public were invited to voice their opinion at a Public Hearing, at which over 20 people spoke favorably about their experience with short-term rental via Airbnb. They also expressed their reactions to the proposed restrictions in the proposed new law put together in 2018. A handful of people showed up to speak out against short-term rentals, and voiced their desire for rules to be enforced - even though no local law exists yet in Beacon to be enforced. The law on the table right now is new. There are zoning laws at the New York state level, which include fire safety requirements such as installing sprinkler systems or breakaway windows. Those requirements can be a financial burden to homeowners, who also rent out their homes to earn extra income to keep up with their mortgage or rent payments. Those in opposition of no regulation at all included a citizen, Elaine Ciaccio, who submitted a petition she started which had 70 signatures on it asking to "1. Ban non-owner occupied whole home short-term rentals and 2. Require registration and establish regulations that maintain the zoned character of our residential neighborhoods." Airbnb has submitted their written response to Beacon's legislation, which was to argue against many of the proposed restrictions. Neither the petition or Airbnb's testimony were read aloud at the Public Hearing, but around 30 people voiced their opinions, a majority of whom were homeowner/landlords of short-term rentals who were in favor of short-term rentals, and in favor of the least amount of regulation - if at all. LEGAL NOTE: Please know: this summation does not constitute as the draft legal document. You can find that legal document right here at this link. The information has been summarized so that you can see the points quickly. You should read the draft legislation yourself if this area of legislation concerns you. The people of a municipality do not have a lawyer representing them, as a city hires an attorney to represent itself. Council members may not necessarily be lawyers or specialized in a type of law being legislated. As a citizen, homework is involved. Here is a summary of the law that the City Attorney has drafted as of April 4, 2018. Please see the actual draft of the law at the City of Beacon's website in their PDF here at this link. This draft is an edited version that the attorney made prior to the Public Hearing on April 2, 2018, and includes "track changes," which means that you can see what was originally proposed or how something was worded, and then was revised based on feedback. Before we begin, it is noted that women were not always included in the legislation wording. Women and men have since been written into the draft with both pronouns, "his or her." In prior draft laws, the male pronoun has been used, such as "his property." Being that married women used to not be able to own property at all in the United States prior to the 1830s, with different states coming on board with allowing women to own property through the 1840s '50s, and so on until the late 1800s (see Wikipedia for all the details). In this latest April 4th draft, one possible loophole remains for women in this line item: "A short-term rental permit has been issued and the owner fails to continue to occupy the premises on a continuous basis as his primary residence; or..."
Additionally, the proposed legislation assumes that the Building Inspector, who is currently a man, will always be a man. The legislative wording reads as this: "The applicant shall be given an opportunity to present evidence why such denial of application, or such suspension or revocation of the license, shall be modified or withdrawn. The Building Inspector or his designated agent may also present evidence." According to the draft legislation, an owner would be defined as: "An individual or group of individuals who are in possession of and have a fee interest in real property. The term 'owner' shall not include entity corporation, limited-liability company, partnership, association, a trustee, receiver or guardian of an estate, or mortgagee, lien holder, or other business entity." Owner Occupied would be defined as: "A one-family or two-family house or multiple dwelling building used by the owner as his or her or their domicile or principal residence." The short-term rental space would be defined as: "An entire dwelling unit, or a room or group of rooms or other living or sleeping space, made available to rent, lease or otherwise assigned for a tenancy of less than 30 consecutive days. The term “short-term rental” does not include dormitories, hotel or motel rooms, bed and breakfast inns or lodging houses, as permitted and regulated by the City of Beacon Zoning Ordinance." Permit would be required, would last for 2 years, and would be able to be renewed. The application of the permit would be submitted to the Building Department. Several pieces of information would be required, including a notarized certificate from all property owners. A broad requirement of the City requiring anything: The proposed law also has a line that broadly gives the City the ability to require information not defined in the legislation, with this wording: “Such other information as the City may require.” When two parties are negotiating a contract, statements like this are inserted by a party who wants to cover a large ground of protection. It can be argued that it is up to the other party to accept that or negotiate that statement out of the document. Short-term rentals could be in any zone of the city, and would not be dependent upon the zoning type your house or apartment was in. Advertised locations: The owner would have to show where they are advertising the listing. Proof of rental bookings required. The number of days rented would have to be printed out from home-sharing listing websites and shown to the Building Inspector when the property owner(s) want to renew the permit. Inspection by the Building Department would be required at the time of initial application, and any permit renewal. Primary residences only are eligible. Owners of short-term rental properties would only be able to rent out that property that they call their primary residence. If it is not their primary residence, they cannot rent out. If they have a second home or house or apartment in Beacon, an owner could not rent it out as a short-term rental. Campers, sheds, vehicles parked on property, tents, recreation rooms, garages, temporary structures, or other things could not be rented out from the homeowner's property. Wedding, concerts or other commercial situations would not be able to be rented. 100-day rental limitation has been scratched out. In last month’s draft, there was a proposed limit of 100 days rented per calendar year. Comments from the public indicated this would impact their income, and in some cases, prevent them from making their own mortgage or property tax payments. In the proposed law, there is a strikethrough line through the verbiage, indicating that it is off the table as a restriction. In this proposed law language, the City's position takes an approach that defends the citizens, and one that assumes that renters are likely to be disruptive. Setting the stage for the legislation, the following is written into the introduction of the proposed law: "There is a greater tendency for Short-Term renters to fail to conduct themselves during their occupancy in a manner that respects neighbors and the community as would persons with longer standing relationships to their neighbors. In addition, studies have shown that short-term rentals are linked to increases in rent and housing costs because rental units are taken off the market and used as short-term rentals." Studies, or supporting documentation, mentioned in this statement have not yet been provided or presented to the public for the creation of this law. During the Public Hearing, all of the people in favor of short-term rentals credited Airbnb itself with creating a good-neighbor environment thanks to Airbnb's background checking and self-governing rules that publicly grade short-term rentals, as well as factor in private feedback. Said a citizen and homeowner landlord, Dennis Mendo, "From renting out an Airbnb for the last 3 years, I have not had one complaint. Not one thing broken. And I live in a cul-de-sac." Pass background checks from Airbnb. Can be denied a booking by homeowner short-term rental landlords. Jessica, a woman who spoke at the public hearing and has a legal long-term rental on the property, also rents a part of the home as a short-term rental. She commented about the neighbor safety in place created by Airbnb's rental marketplace, stating: "I know more about my Airbnb guests than I do about my own tenant." She went on to explain: "Guests have to go through a three-step verification process that the hosts sets the limits for, that ensures that [the guests] are who they say they are… If anything isn’t fit or isn’t how it was described or is unsafe in any way, shape, or form, they let other potential guests know by giving a lower number of stars and/or giving public feedback or private feedback." Another attendee of the Public Hearing, Eva, rents her family's home on a short-term basis, and had this to say about her selection process about who books: "We do not accept every booking. We only accept [guests] who are willing to follow our rules. And this is why we only have 10 guests so far since 2017." The next discussion of short-term rentals is on Monday, April 9, 2018. This will be a Workshop, where the City Council discusses the points it is considering. The workshop is open to the public to watch, but not to participate in. The next opportunity for the public to comment would be during the Miscellaneous Comment period of City Council meetings in general, which usually happen the following Monday. For those who like auto-updates via RSS, A Little Beacon Blog has been re-publishing Agendas and Videos in our "Easy Access" City Government section of this website. There, you can easily find videos posted with each meeting, and links to the accompanying Agenda items, which can include useful information like drafts of laws, letters of testimony, maps, and more. Please see the actual proposed draft legislation for this law on the city's website. You can find it here at this link. It is called "LL Short Term Rental with changes." Pictured here is Beacon's Building Inspector, Timothy Dexter, speaking to the City Council during a Workshop meeting of proposed legislation for short-term rentals, often listed on websites like Airbnb. Photo Credit: Screenshot of the Workshop meeting. Video produced by Peter Skorewicz. UPDATE: The Public Hearing took place. Here is a summation of the resulting draft of legislation, which the City Council will discuss at the next Workshop on Monday, April 9, 2018. This Monday, April 2, 2018, the City of Beacon's City Council will hear from the public about new legislation for Airbnb hosts, which are technically called "short-term rentals." The Airbnb market in Beacon is booming, bringing people from all over the country - and probably the world - into Beacon. 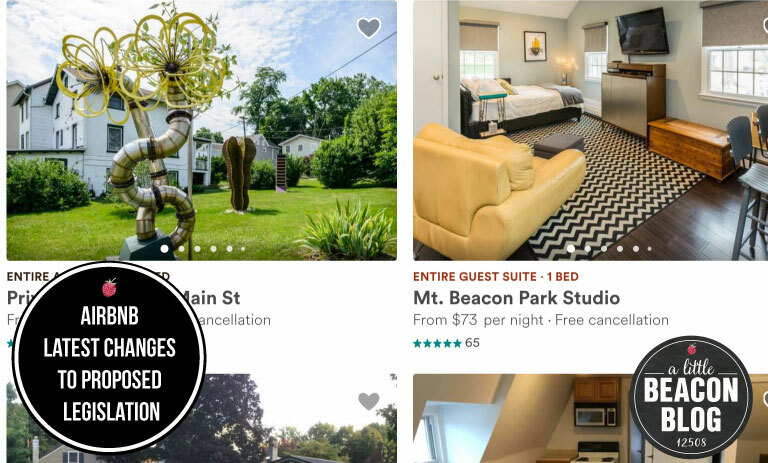 A search for "Beacon" on Airbnb brings up over 300 results of places you can rent, from luxury lofts to secluded houses in the woods to charming cottages just steps from Main Street. It's a real estate dabbler's dream. Personally, I don't Airbnb, but do like to have the option if I needed or wanted it. I do rent space in my business office, so I'm familiar with the work involved in managing a short-term rental on a daytime level. The idea has occurred to me to invest in a second home in Beacon, as a way to supplement my parents having a home here when they visit us as they get older. But Airbnbing can have some hiccups. I had some folks from California searching for a key in the mailbox on my front porch because they had the wrong house. No biggie, they were plenty friendly. I have also received a pizza delivery for what is probably that same Airbnb, who gave the wrong street type - is it Street or Lane? According to Beacon Mayor Randy Casale at a 1/29/2018 City Council meeting, "There are no rules and regulations [for Airbnb], and by rights, they are really illegal." Yet if you talk to the Building Inspector, Timothy Dexter, at a 2/13/2018 Workshop meeting: "They’re not necessarily illegal by zoning. … They are probably all in violation of a zoning ordinance if they start to rent out a room or two." The building inspector encourages a "path to compliance," so that rentals who do violate code could make changes to be within code and become legal. But those requirements are often expensive, involving installation of sprinkler systems, particular windows, and other fire safety investments. From councilperson George Mansfield, who tries to find a guiding line through the thick nuances of the booming short-term rental market, where the landscape is a little bit undefined, unregulated Wild West, "We have to make them align with New York State Code." If you moved to Beacon looking to own a home and not be beholden to a homeowners association like you might in an apartment building or condo complex, here's the memo you missed: Your homeowners association is actually several people on three boards (City Council, Zoning Board and the Planning Board), members of the public who attend the City Council meeting to voice their opinions, and New York state law. All of the people on these boards make up the rules of what you can and cannot do. Surprise! This is not the first time the city has considered legislation around residences. Mayor Casale mentioned during the 1/29/2018 meeting that he has been discussing it since 2014, and a law was drafted in 2015, but was abandoned when consensus could not be reached. People from the community forced this issue back onto the table after the new owner of the house at 51 Orchard Place cut down over a dozen trees without a permit. That incident alone sparked a revisiting of legislation and fines that a property owner could be faced with. The property owner, David Allis, is a resident of Beacon and purchased 51 Orchard Place as an investment property, not a primary residence. When he let the property's neighbors know of his intentions to list it on Airbnb, those neighbors came before the City Council to voice their opposition, stating that they wanted a family living there, not many people who come and go. David's property had been listed on Airbnb in 2018, but at this publishing date, the listing had been removed. According to the Mayor's comments during a 2/13/2018 Workshop meeting on Airbnbs, he has received an uptick of emails asking him to enforce any law about short-term rentals. “I feel helpless," said Mayor Casale. "People call me and complain every day: ‘All these Airbnbs in Beacon are illegal - what are you doing about it? Honestly, we’re not doing anything about it because I’m being told it can’t be enforced unless you can prove that somebody stayed there. You just can’t go on advertisement. So I tried to get a law so we could say, 'If you’re advertising, we know you’re doing it.’ I don’t care if they are legal or illegal. As I sit here as the mayor, if they are illegal, and people are calling me asking why aren’t you enforcing it, I need to have a mechanism where I can enforce it." What's The Big Deal With Short-Term Rentals? The business model of a short-term rental is very enticing. You open your home to a renter for a night or several, you collect rent money, they experience a nice new place, and you're all happy. The regulation of such a business transaction happening in a residential neighborhood, however, is gridlocked with nuances and variables. Some of those nuances have been discussed by Beacon's City Council. Here's a simple summation of some of the issues. Owner Occupied: Should these short-term rentals need to be owned as a primary residence by the homeowner? And not as an investment property, being used solely for short-term rental and not the regular long-term (over 30 days) rental? Meaning, you need to live in the house that you are renting on a short-term basis, and not other houses that you own. From the draft of the proposed legislation: "Owner-occupancy. It shall be unlawful to use, establish, maintain, operate, occupy, rent or lease any property as a short-term rental if the property is not owner-occupied. The property used as a short-term rental shall be the principal residence of the owner at all times during the term of the permit." Fire Safety + New York State Law: State law requires places who rent as "transient" rentals to comply with fire codes. According to the Building Inspector, these are typically defined as boarding houses, hotels and motels. But the designation for people's personal homes has not been defined. Inspections: Should these homes and apartments be inspected? Mayor Casale suggests "at least once per year like any other public place" as a possibility. Neighborly Conduct: Will transient guests take care of a home and neighborhood? Or trash the place? Will owners of investment properties who live out of state - or out of Beacon at all - be less invested in the community? Home Price Increases with Investment Properties: As homes are taken off the market in order to be short-term rental units, Beacon's City Planner suggests that this impacts the price of homes in general, making it harder for families to purchase in neighborhoods. Neighborhoods - the Definition of a Neighborhood: If investment properties for short-term rentals increase, what does that do to a neighborhood? Who would kids play with if most of the houses around them are Airbnbs, if investors are buying them and not occupying them as a family who rents out from time to time? Airbnb is hoping that investment properties do increase and has introduced out new services for hosts to be Manager Hosts, who manage people's listings. Running a short-term rental isn't always easy in practice. Accidents happen, oil leaks on driveways, fences break, paint chips, windows crack, homes need to be cleaned, beds stripped, nice soaps put out, etc. Insurance: How would that work? Antalek & Moore explained some of it here, and Airbnb does offer coverage for listings through them, but nothing is black and white. Permit: Should these homes and apartments be registered and permitted? Violations of Permit: Violate too many times, you get your permit pulled. Enforcement of Regulations: How can a city enforce the rules they set up? "Short-term rentals by their very nature are transient occupancies which in the International Building Code are considered an R1 use group. Typical transient occupancies are boarding houses, hotels, and motels. We have to apply the appropriate regulations for the individual use group which will tell us when and where fire alarm systems, fire sprinkler systems, exit signage, emergency lighting, and other life safety provisions need to be provided. Authors of the International Building and Fire Code recognize as people are less familiar with their surroundings as transient guests there is a need for a higher level of fire protection." Letter from Beacon's Building Inspector, Timothy Dexter, about Building Code Provisions. Definitions of what is currently in building code. The latest proposed local law (aka "PPL"). There have been a few of these. Beacon's City Council has met twice in 2018 about this matter: once as a regular City Council Meeting, and once during a Workshop where they focus on ideas about what to do about this issue. April 2, 2018, marks the first Public Hearing about it, where the public can give their perspectives and opinions. You may not have known this, with all of the scaffolding around newly demolished buildings, but Beacon has been under a six-month building moratorium, whereby the city is not granting permission to build new projects. Special exemptions exist, such as if a residential application was being proposed that used less than 330 gallons of water per day, or a non-residential application resulting in more than 2,000 gallons of water per day (both as determined by the city engineer), but for the most part, everything new has been halted. However, everything that already was proposed and approved before July 25 before remains in full swing. But what does water have to do with anything? Why does water come into play with these building exemptions? Because the City of Beacon felt that although it had encouraged residential and commercial development over the years, and that dream did come true, perhaps it was a bit too soon. The water supply was estimated to accommodate 17,800 people. As part of new residential projects recently approved to develop Beacon, 1,027 new units are on their way. According to the moratorium legislation passed on September 19, 2017, however, the current population is reaching that limit quicker than expected, thus creating a hunt for more water. "The City is concerned that such a large number of housing in such a short time will stress the City's water supply," reads the approved legislation document forwarded to us by City Administrator Anthony Ruggiero. "The City's vision was that development would be more gradual and take place over a period of years. The accelerated development of housing within the City will lead to greatly increased consumption of services and resources." In the past, the City hired Leggette, Brashears & Graham, Inc (LBG) to look into the development of a new well on the existing Water Treatment Plant property, the location of which was found to be unsuitable for potable water because the location did not have enough water to yield. Therefore, evaluations continue regarding the system's existing capacity and potential for future needs. A review of the capacity of the existing sources (groundwater and surface water) will continue, and they'll review how water has been collected in the past, up until today. "The water system evaluation will include a review of available 'finished' water storage capacity, and a review of existing water treatment methods and capacity." That presentation of findings is being delivered tonight, Wednesday, March 14, at 7 pm, by LG Hydrogeologic Engineering Services, PC at 1 Municipal Plaza, Beacon, NY. The meeting is open to the public to listen, but not participate. 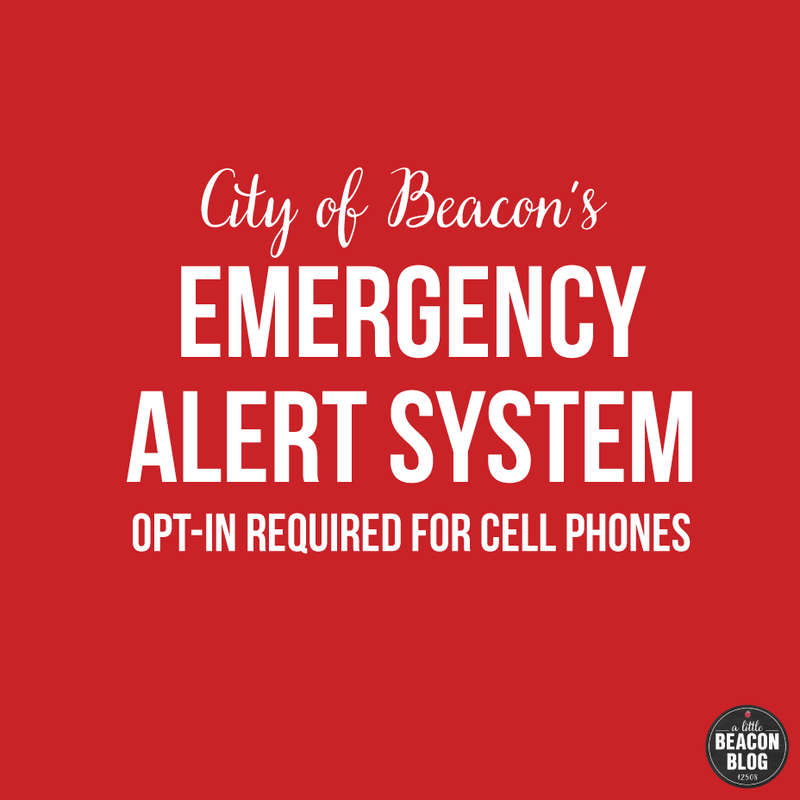 UPDATE [3/6/2018]: The City Council voted Yes, and Beacon's School Superintendent attended the meeting and thanked the Beacon Police Department for their recent help. 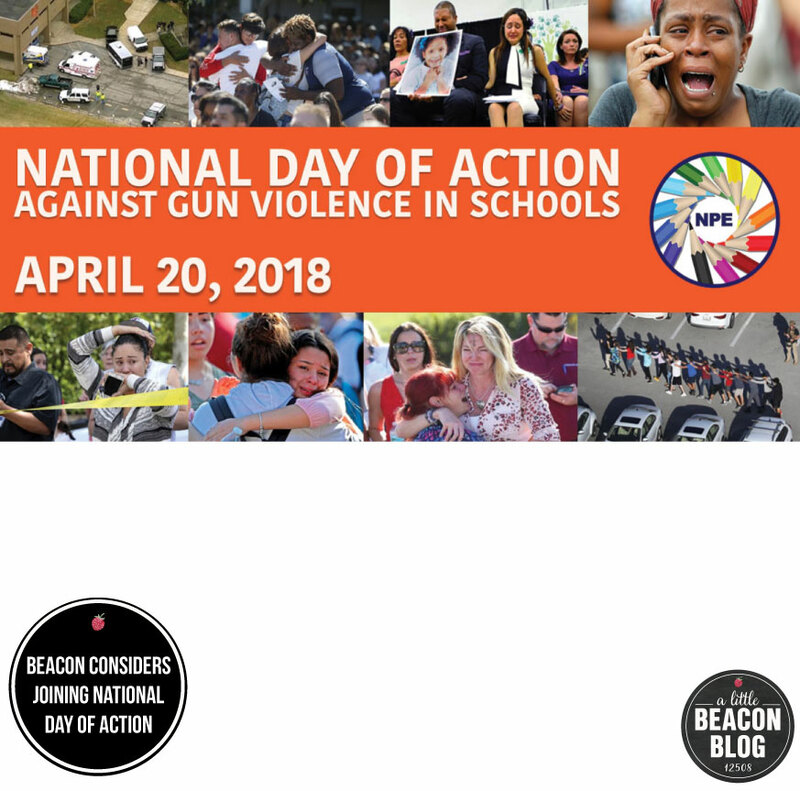 During the March 5, 2018 City Council Meeting, the Beacon City Council will vote on a resolution to join the National Day of Action on April 20 to Protect Students Against Gun Violence, which is a movement spearheaded by the Network for Public Education after the shooting in Parkland, Florida. The Network for Public Education was founded in 2013 as an advocacy group whose mission is to preserve, promote, improve and strengthen public schools for both current and future generations of students. "Not one more child murdered in school. Not one more parent sending a child to school who never comes home. Not one more teacher, coach, principal, librarian or any school staff standing between students and a gunman. No. More. "We call on every school community in America to join us to demand that our leaders take real action to end gun violence." According to proposed legislation documents for Beacon, the Beacon City Council intends to join a National Day of Action on April 20, 2018, and "calls upon the state and federal governments to enact stricter controls governing the sale, possession and distribution of firearms and other dangerous weapons." Legislation to raise the age to purchase a firearm to 21. Legislation to ban bump stocks. Legislation to prohibit the sale, production and importation of assault weapons and large capacity magazines. Legislation to prevent certain individuals with mental health conditions from buying firearms, in conjunction with legislation, regulations or public policies that encourage mental health evaluations, including ongoing mental and behavioral health support for students identified as being of imminent threat to themselves or others, and enhanced student access to mental health supports in schools and communities. Attendees at the February 20, 2018, City Council meeting thanked Mayor Randy Casale for holding a moment of silence for the victims of the Parkland, Florida, shooting. They then promoted nationwide events that are going on to address the issue, namely the school walkout on March 14, and nationwide demonstrations on March 24, 2018. This week via the school blog, Beacon Schools' Superintendent Matthew Landahl announced a collaboration with the Beacon Police Department: "Working with the Beacon PD, we will have one police officer working between both Beacon High School and Rombout Middle School during the school day for the upcoming week. The presence of the police officer is simply to help us feel safe and secure next week. Thanks to the BPD for helping us out!" The superintendent will be releasing more information on how Beacon City Schools will be participating in the National School Walkout on March 14, 2018. Notification just went out that tonight's Workshop Meeting for City Council has been postponed due to lack of a quorum. As soon as the City of Beacon releases a new date, we will post it here and on our new "Workshop Meetings" page, which contains Agendas and Videos from meetings that have already been held. Tonight is a regular meeting of the City Council for the City of Beacon that begins at 7 pm. It is a public meeting, where anyone can attend. A Little Beacon Blog has begun keeping a dynamic section dedicated to City Council Meetings, Workshops, Zoning Board and Planning Board Meetings on our website to help make it easier for you to stay aware of what is being discussed at the City level. We keep links and past meeting videos in this new section, which you can see here. Each speaker may have one opportunity to speak for up to three minutes on any subject matter other than those which are the topic of a public hearing tonight. Please sign in at the podium. This segment will last no longer than thirty minutes, with speakers recognized in the order they appear on the sign-in sheet. A second public comment opportunity will be provided later in the meeting for those who do not get to speak during this first segment. Each speaker may have one opportunity to speak for up to three minutes on any subject matter other than those which are the topic of a public hearing tonight. This segment will last no longer than thirty minutes. Those who spoke at the first public comment segment are not permitted to speak again. 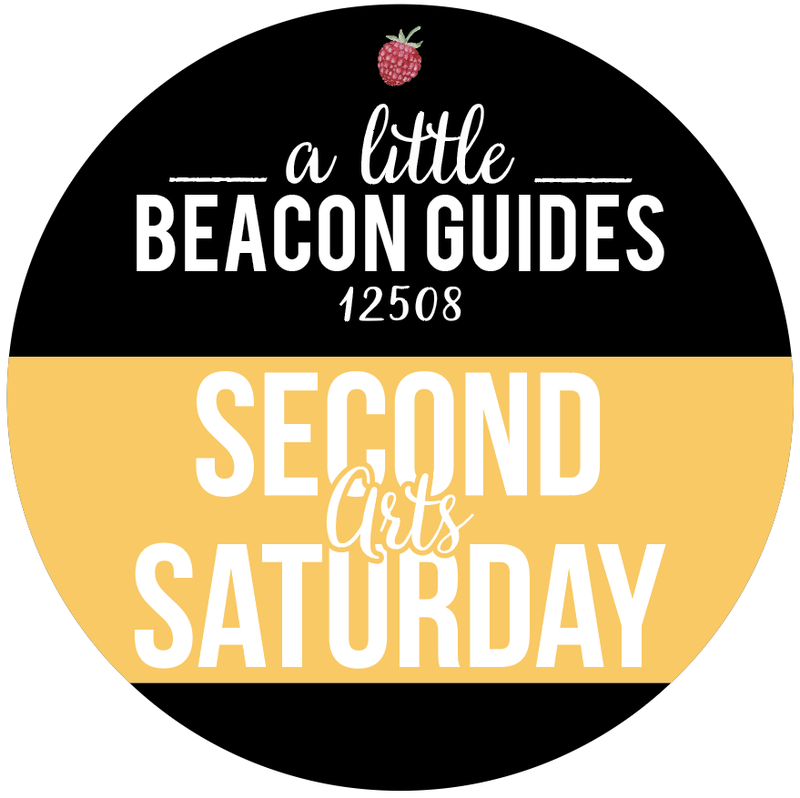 A Little Beacon Blog has been tinkering with this new section, and we have a few new plans for it. 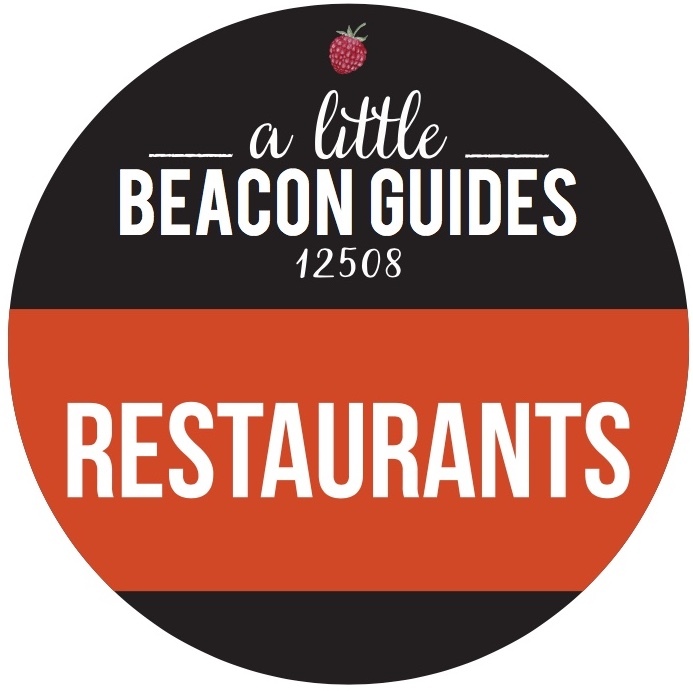 Our aim is to help make it easier for you to find out what is being discussed and planned for Beacon. Most information has been pulled from the City's website and presented on A Little Beacon Blog in a way that we hope is easy for you to skim through and reference. This new section will be Sponsor- and Citizen-supported, and is free for all to read and follow. After we roll out a few more details of this section, we will provide information on how you can support it if you so desire.